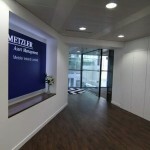 CSS worked previously with Metzler Ireland on their last commercial office fitout. 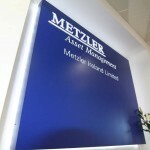 We were contacted again when Metzler opted to relocate their offices due to an upcoming lease expiry. We initially worked with the client in reviewing the options available and provided a technical assessment of the short-listed facilities. 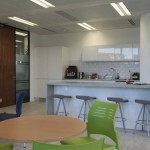 Having selected their new offices in Spencer Dock in the IFCS we set about refining the office layouts to suit the business needs and the budget. 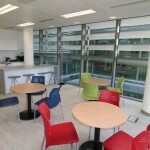 Creative space services completed the full office fit out and relocation services for the client. 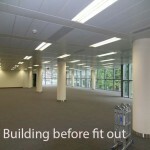 The 4,500 sq ft facility selected was a new office build space with no previous tenant in the space. 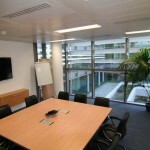 The layout requirements included meeting rooms and a board room area together with open plan offices and one office for the Managing Director. The requirements also included large storage facilities and a dedicated comms room with independent A/C and fire suppression systems. 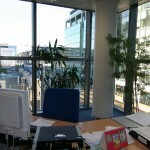 The existing open plan A/C system was altered to suit the new layout and new electrical and comms services installed. 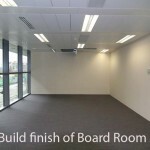 The existing floor finishes were removed and replaced to lift the space and finishes to the lobby and board room were upgraded and bulkhead ceilings installed. 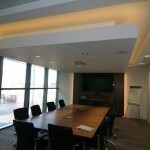 A full audio visual system was installed to provide the client with video conference facilities with there other office. 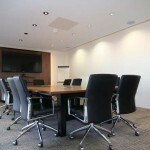 The board room was finished off with bespoke table and credenza units and the room finished with additional décor and ascent lighting. 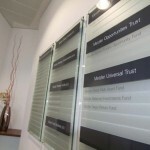 "Creative Space Services have provided us with a cost effective but well finished space that meets all of the business needs. The space is bright and open and we look forward to operating from our new home. During our search for new office space Creative space services assisted in the technical assessment of the potential locations offering an insight into the unseen elements of the options being offered. Once the space was selected the Creative side of the business can into play offering a range of options for the layout while keeping one eye on the budget. 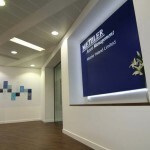 The fit out works were completed in a smooth and efficient manor and CSS also assisted in the relocation process and worked closely with our IT and facilities staff to ensure the facility was open as planned. From a client standpoint the overall process was enjoyable and we have no hesitation in recommending Creative Space Services."